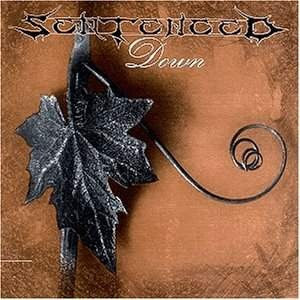 A distinctive blend of swirly Gothic metal, Down is a high quality album from Finland's Sentenced. Dominated by slowish to mid-tempo songs that emphasize mood and melody above all else, Sentenced can sometimes sound predictable and risk averse. But they more than make up for the lack of adventurism by maintaining a remarkably consistent level of excellence -- every track has something to offer, and many of the songs achieve haunting levels of beauty. Down creates an atmosphere of dread, wandering in the darkness with mysterious mansions in the distance, candlelight in the far windows offering hope of a perhaps dangerous respite from the incessant blackness. Keyboards, eerie female vocals, curvilinear melodies, controlled delivery and polished, confident performances combine to create and maintain the necessary ambiance. Noose and Bleed are excellent and easily accessible tracks. Sun Won't Shine, Ode To The End, and I'll Throw The First Rock are just slightly more complex and equally as good. Very much a group, no individual member or instrument stands out in delivering the songs. The solos are short and to the point, the keyboards add spice without dominating, and Ville Laihiala's vocals achieve the right amount of anguish without unnecessarily dramatic agony. Down is, ironically, very much an uplifting listening experience. Engineered by Siggi Bemm and Waldemar Sorychta.